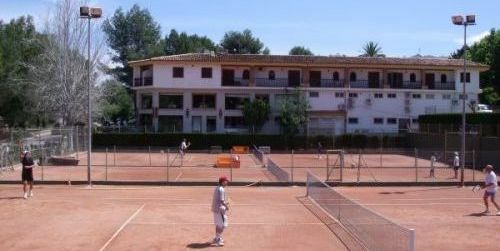 Welcome to La Sella Tennis Club, one of the most renowned destinations for tennis holidays here on the Costa Blanca. The Tennis Club combines a varied mix of Club and Competitive Tennis to suit all levels and needs up to the most Senior standard of players, along with an active and varied social calendar. La Sella Tennis can also offer Personal Programs, Group Courses, Private Lessons, Children’s Courses, Beginners, Weekend Programs, Tennis Holidays and should you wish to, you can even bring along your own personal training pro with you. If you are interested in playing tournament tennis, competitive games, or simply just playing tennis for the sheer fun of it then join us now and start enjoying playing tennis with friendly, like minded people.